Chimney Sweeping to remove flammable, dangerous creosote from the chimney interior. Stove Sales and Installation of top quality (Made in the USA) AVALON wood, gas, pellet stoves and fireplace inserts. 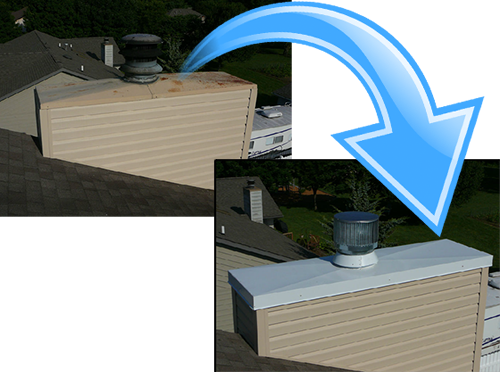 Chimney and Animal Caps will prevent premature deterioration of chimney interiors by preventing rain, snow, and animal nesting debris from entering. Covers available in aluminum or lifetime warrantied stainless steel and copper. 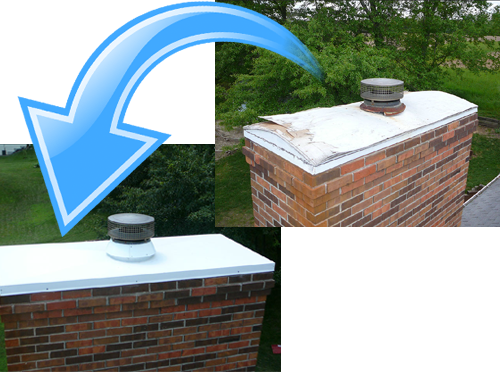 Gas Flue Lining/Relining will prevent deadly carbon monoxide from penetrating an unlined or deteriorated masonry chimney and prevent interior plaster, paint, and wall per destruction from gas flue moisture. Water Repellant Application protect exterior masonry surfaces from moisture penetration which causes brick and mortar to flake, crack, and stain. Hearth Products and Safety Supplies including glass doors, Kid Kusion fireplace bumper pads, Anti-Creo-Soot combustion enhancers, grates, etc. Repairs for pre-fab firebrick, masonry firebox, dampers, log lighters, ash dumps, and clean-out doors. Systems Evaluations and Condition Reports to determine chimney integrity or damage from lightning, chimney fire, mine subsidence or improper installation/construction.